Our standard installation of a 10,000 litre storage tank with solar panels and standpipes was used at two schools which are based on the same site and only separated by a very short distance. A Government dispensary was situated by the schools and they will also benefit from the uncontaminated water. 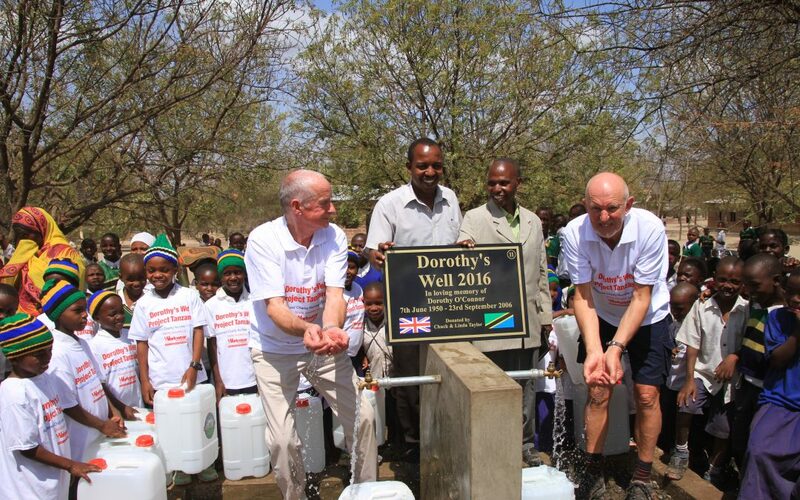 It is estimated that in total 11,000 people will be able to enjoy life saving water from this one well. Prior to the opening of the Well the schools and clinic combined had access to water for about an hour a day from a local spring. This water contained high levels of fluoride which adversely effected teeth and bones. The cost of the well was very kindly donated to the charity by Chuck and Linda Fleming from Houghton le . Spring. Chuck accompanied us on the visit to open the well himself and to understand first hand what is involved and what the benefits are. 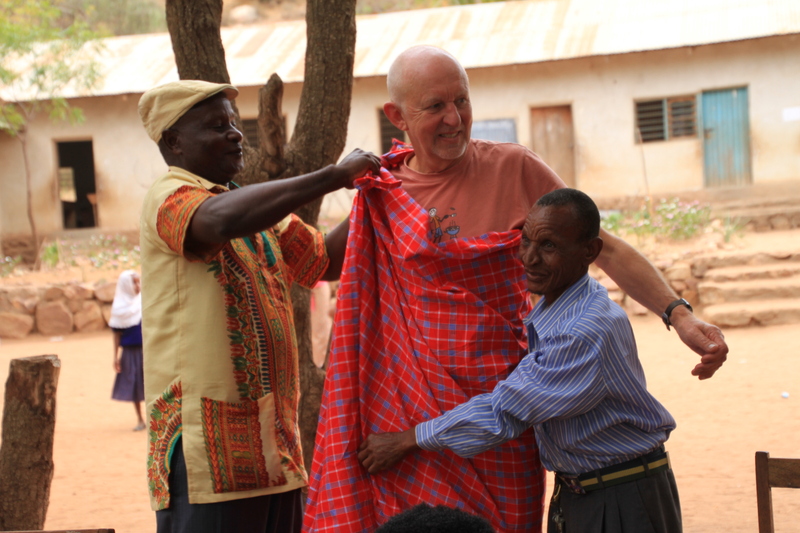 Despite their poverty as a show of appreciation the schools present us with a gift, usually in the form of cloth which is draped around us in the traditional style as modelled by Chuck.